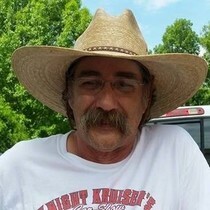 Robert Blaise, known by many as Bob, passed away on Tuesday, March 19, 2019 at the age of 58, after a hard battle with cancer. Bob was born to Harold and Arlene (Kilbride) Blaise on February 23, 1961 in Kirksville, Missouri. Bob was raised in southeast Iowa, and then he moved around Iowa before moving out to Wyoming in 1985. He married Janette in 1998, and they had one daughter, Natalie. In spring of 2001 Bob was hired to what would be his lifelong job as a LRAM coordinator for the State of Wyoming. In his free time, he enjoyed many hobbies, such as working on old cars, upholstery, and metal work. In lieu of flowers, donations can be sent to the family at P.O. Box 57, Hartville, Wyoming 82215 for either the Hartville Fire Department, or Marge Cares Foundation of Glendo, Wyoming. This foundation helped Bob and the family with expenses for traveling for cancer treatments.